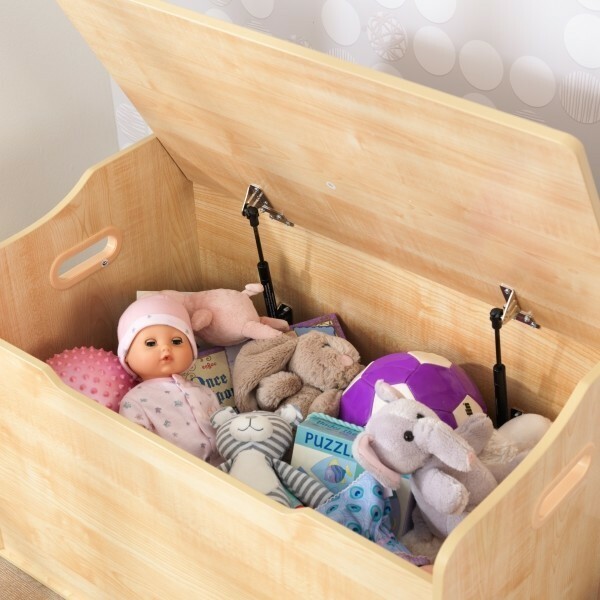 Keep all your toys and other treasures safe in this Austin Toy Box (natural) from Kidkraft (14953). 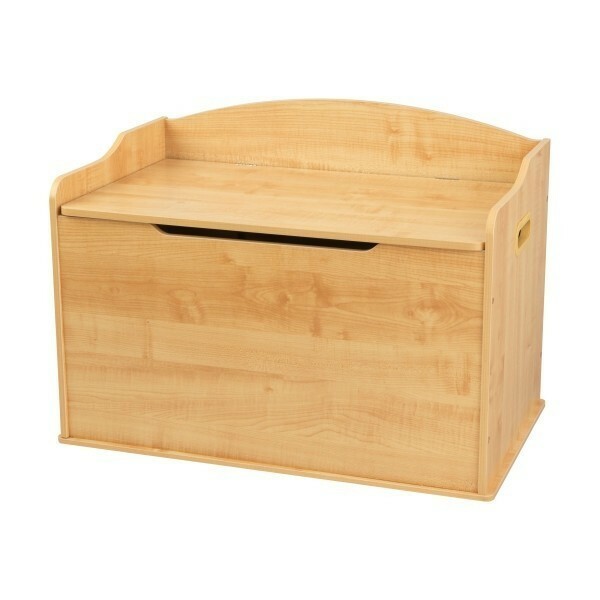 The classic design of the safe and handy Austin Toy Box (natural) from Kidkraft (14953) is beautiful in every nursery. 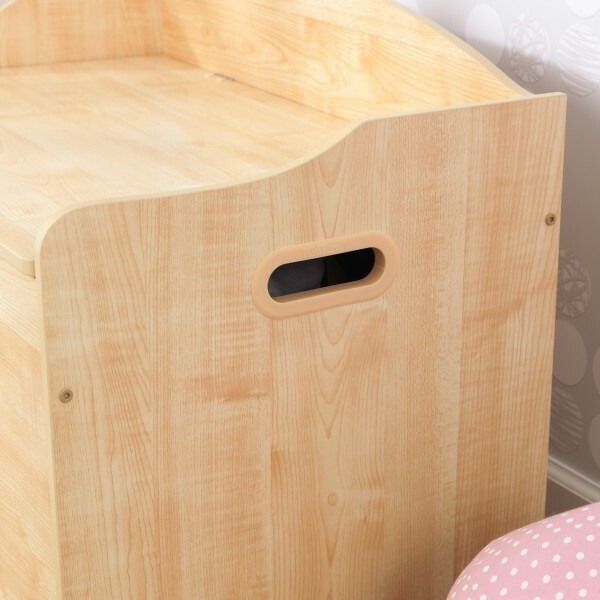 The unique safety hinge ensures that the lid can not accidentally fold down and protects the small fingers of your children. 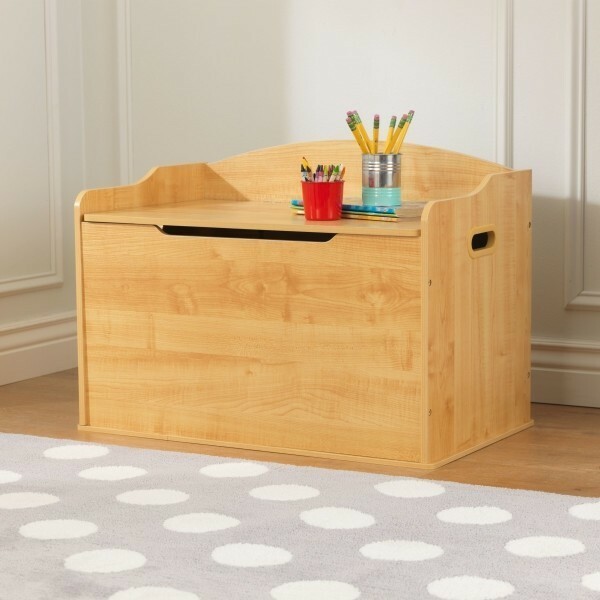 Because of the sturdy wooden construction you have years of enjoyment of this Austin Toy Box (natural) from Kidkraft (14953) in the nursery.